Master Class in baroque cello with Guy Fishman. 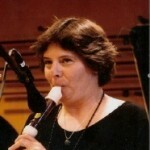 Monthly playing session with guest conductor Frances Feldon. New members and guests welcome. “Bach and Sons” Baroque cellist Guy Fishman and harpsichordist Derek Tam perform works of J.S. 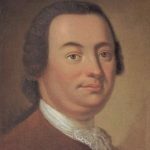 Bach and sons Carl Philipp Emanuel and Johann Christoph Friedrich. “Haydn & His Teachers” New Esterházy Quartet (Kati Kyme and Lisa Weiss, violin; Anthony Martin, viola; and William Skeen, cello) perform music by Georg Reutter, Nicolo Porpora, Johann Joseph Fux, C.P.E. Bach, and Joseph Haydn. 8 PM — Note Palo Alto performance is Saturday. 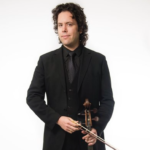 Daniel Yoder, bass; Jubal Fulks, violin; and Cathie Apple, traverso, are featured soloists in a program of music by Purcell, Telemann, Rameau, and others. Works include Charles Avison, selections from the Concerti Grossi after Scarlatti; G.P. Telemann, Sinfonia Spirituosa and Flute Concerto in D Major, TWV 51:D2; Henry Purcell, “What Power Art Thou” from King Arthur; and instrumental selections from Timon of Athens and The Gordian Knot Untied; Giovanni Antonio Pandolfi, Violin Sonata “La Melana,” Op. 3, No. 3; and Jean-Philippe Rameau, “Monstre affeux” from Dardanus, and dances from Les Indes Galantes and Platée. Sacramento-based Sinfonia Spirituosa is a baroque chamber orchestra dedicated to presenting bold, historically-informed performances on period instruments. Through vibrant, collegial exchange, the ensemble aspires to faithfully bring to life the broad spectrum of color, affect, and rhetoric inherent in the music of the Baroque era. 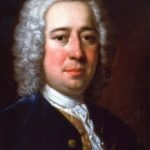 Their roster of strings, flute, bassoon, voice, harpsichord, organ, archlute, theorbo, and baroque guitar allows for programing which displays an astonishingly wide variety of national styles and unique instrument combinations. 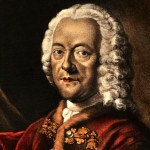 The repertoire, which spans over 100 years of Baroque music, exemplifies the spontaneous, improvisatory character of this period, and showcases the startling, cosmopolitan harmonic language of the late 17th century, the rich complexity of the German baroque style, and the sumptuous textures and dramatic flair of the late French composers.